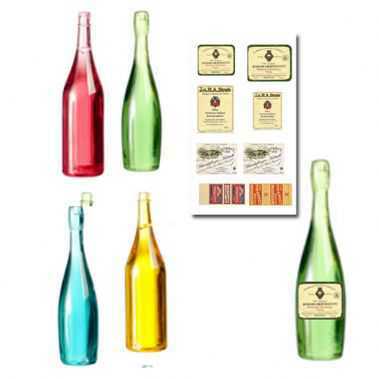 DIY wine / champagne bottles. Great for waiters, butlers and restaurant scenes. 1:12 scale. Bottle shapes may vary slightly. 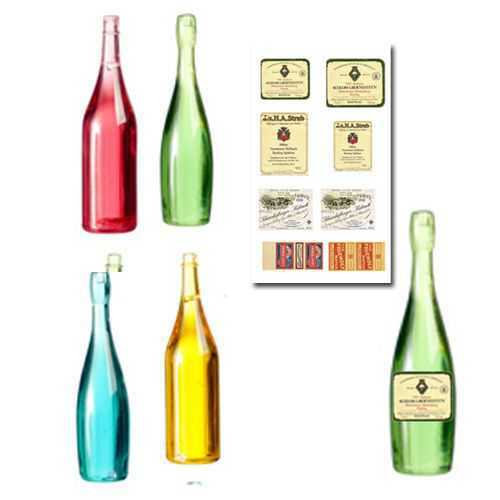 4 bottles total of 1 each color plus sheet of 6 labels and bonus matchbooks.